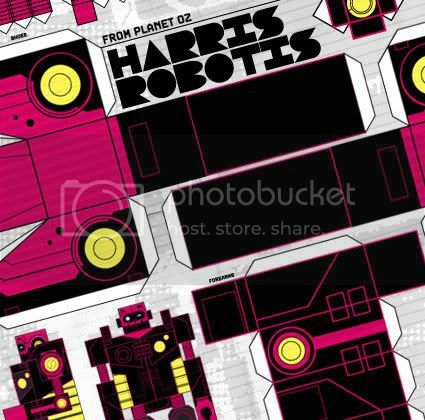 this post has been in the making for a long time, so i am glad i can finally introduce harris robotis from melbourne, australia. besides having being quite a busy dj schedule smashing his electro-punk-disco sound, he has already done remixes for van she, muscles and goose and has several original productions scheduled for release. and finally, 'go' by harris robotis is seeing a release on groove fanatics, the label of the netherlands' number one fidget master jaimie fanatic. harris robotis is looking for remix offers and has a lot more to come, i will definitely keep you posted. read more! (zshare backup link) read more! discodust is proud to present another exclusive, this time something very special. 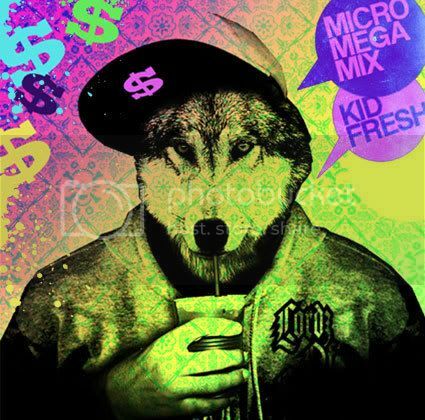 triple worldwide itf champion dj kid fresh from lordz of fitness is back with a stunning new 'micromegamix' which contains 35 tracks in less than 8 minutes! i don't think i have ever heard anything like this and it has definitely been ages since i have experienced such flawless and entertaining mixing. i couldn't say it any better than the short bio on his myspace page, this mix just makes him stand out (even more) like a skyscraper from your bunch of average club-djs. check the comments for the tracklist and stay tuned for much more to come from kid fresh and also get the exclusive discodust mix by his lordz of fitness teammate j-bounce. read more! neil parnell aka tronik youth from london, uk has been making quite some noise around the blogs recently, mainly because he has already scored official remixes for well-established acts like franz & shape, goose, gossip and the rakes. on october 1st, back yard recordings will release the first tronik youth single. 'we are' is a driving electro track with roots in deep italo, complete with vocoders and screeching rave signals and definitely one of the most anticipated releases in a while for me. 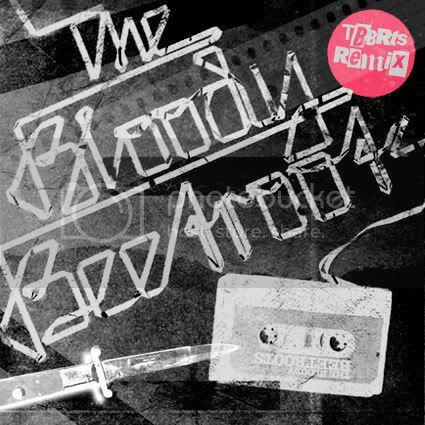 the single comes with remixes by punks jump up, franz & shape and dolby-anol. you can check out the original and one of the remixes right here, make sure to show tronik youth some myspace love and grab a copy of the single when it drops! and as usual, discodust tries to bring you a little bit more, so here are two of the most recent tronik youth remixes, one for the upcoming chromeo single and one for songwriter yoav due out in a month on island. felix cartal + moving units. 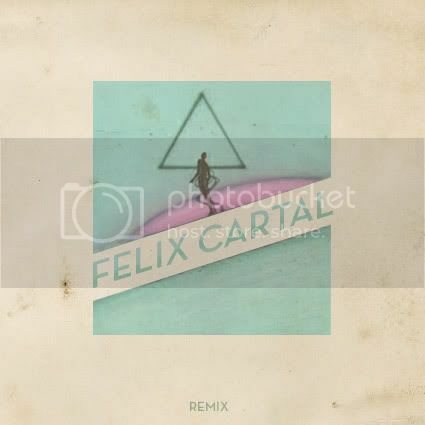 after a little break we are back again with full force which means here is a brand new remix by no one else but felix cartal. although i've had this track for quite a while, i didn't know it was safe to blog until i saw it over at my friends from bigstereo. felix cartal turned "crash'n'burn victims" by moving units into a raging monster of a track that totally destroys everything and everyone on the dancefloor. i love how he always goes a step further and makes it even harder when you thought it just couldn't be done any more. moving units are about to release their new album 'hexes for exes' in early october. felix cartal himself has tons of new stuff coming up, check a teaser of his new track 'ultra magnetic' on his myspace. and so do we, stay tuned for some hot exclusives in the very near future! read more! valerie are going to have a party in paris on september, 23rd at la flêche d'or club, check their blog for more details and watch out for a special on the outrunners here on discodust soon! read more! those lovely darlings from kitsuné never seem to lose their edge. coming up in early september on one of our favorite labels is the first european ep by uprising australian rockers lost valentinos who have toured europe, japan and australia sharing the stage with the likes of soulwax, liars and the rapture and definitely deserve to become real huge in the indie game. 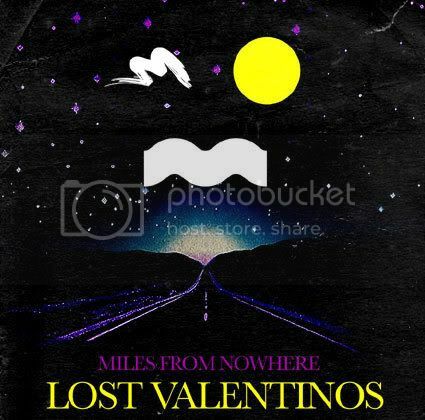 lost valentinos - miles from nowhere ep megamix read more! zuer is currently in tokyo, his real origin is secret and when i asked him about his identity, the answer was he is zuer and nothing else. he throws his own underground parties where he designs the whole area using lights, projectors and lasers. besides tokyo, parties in los angeles and europe are planned. he also let me know that he usually never speaks - he made an exception for the mail i've sent to him but when he does live appearances he never speaks. 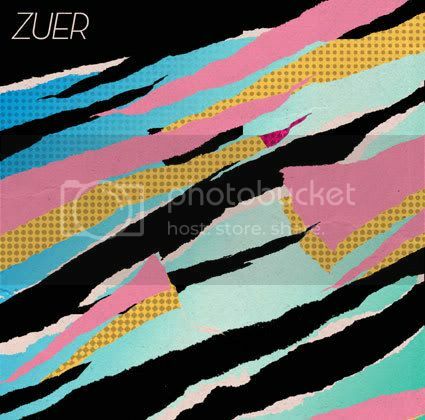 zuer - album preview tracks on myspace read more! discodust: dj belgium (joel) is from melbourne, dj damage (bennie) from sydney, how did you two hook up? bennie: australia isn't that big. one day i was riding my kangaroo through the outback when i saw joel drinking beer on a big rock, we started talking and decided to make dance music together. discodust: when you are producing tracks, who is doing what? and because of the distance, are you ever both in the studio at the same time? bennie: we work on the tracks together when we can, because of our touring schedule we spend more time on planes and in hotels than we do at home, we have a mobile studio complete with a kangaroo skin carry case. discodust: as far as i can tell, all of your tracks have been blogged rather early and got a lot of love. did that help you getting the deal with relish or have you been signed before and how did they find out about riot in belgium? joel: we got signed to do tracks for relish before either of us even had anything to do with the internet. it's difficult to find a good isp in the outback. discodust: the riot in belgium trademark sound is strictly rave and 'la musique' is a real anthem within the whole 'new rave'/'maximal' sound movement, i keep reading that the hype is over and the genre is about to fade away. yet new high quality tracks that fit in the whole rave context are getting released almost daily, where do you think is this whole thing going? bennie: the whole rave thing is massive in australia! we just bought a tape at the service station by a new band called 808 state, we really like it! joel: these things are big topics of discussion on the internet but we don't give it much thought to be honest. we're just trying to make stuff to play at parties. bennie: new rave, old rave, it's all just house music for people who don't want to say house anymore! bennie: im talking to thomas, should we get him to do a guest appearance? bennie: when we got to montreal he is going to take us to laser tag! thomas: i'll try to focus everything that is cool about me into one word. discodust: i might be wrong but regarding my myspace bulletins, there seem to be a lot of rave and electro parties and dedicated club nights down under, how popular is the sound over there? bennie: hahaha! rave the wave! discodust: you have recently remixed yelle, headman, surkin, kim and proxy. can you tell us who is next or who you would love to work with? bennie: we just finished goose and chromeo remixes, now we want to remix "humpin' around" by bobby brown. discodust: what is next to come from riot in belgium after the 'la musique re-issue' on relish, in terms of original material? bennie: we're gonna make something crazy, we have a couple of things you'll hear really soon! discodust: how are you making use of the internet to keep updated on new music yourselves? are you checking out the blogs and myspace? bennie: why do you think we are doing this interview on ichat? i just got the justice remix of justin timberlake, it's dope! joel: like we said ealier, internet is difficult to find in this country but we try to keep up whenever we can. oh yeah, the justin thing's pretty cool. i need to hear it loud though. discodust: speaking of being up to date, who are the ones to watch these days, who or what could be the next big thing? discodust: share a great party experience with us. what was a night to remember, where have you guys caused an actual riot? bennie: we played at this party a couple of weeks ago in a hick town and there were 5 fights during our set, there was even a girlfight that broke out and ended up on the stage we were playing, that was twisted! joel: we started to fight too so as to blend in with our surrounds. we're still nursing the injuries to this day. read more! my friend felix cartal recently recommended gingy to me. gingy is a 20-year-old producer from toronto, canada and delivers some of the most banging stuff i have heard in a long time. 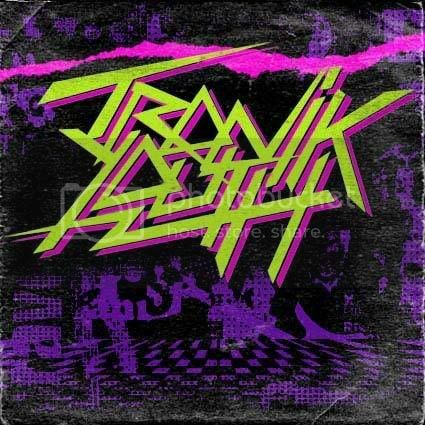 think of something that mstrkrft would spin and that could end up being released on boys noize records or turbo - or even your own label, if you don't sleep on him. malente has also already recognized the greatness, you can buy a gingy remix of 'this manrox' right here on beatport. as far as the tracks in this post go, i really advise you to check all of them or you will definitely miss out. 'swagger' is his latest track and is a real hard electro banger based on roaring chainsaw riffs spiced up with some breaks. we are sure someone will want to sign this, so we are only posting it in lower quality here. 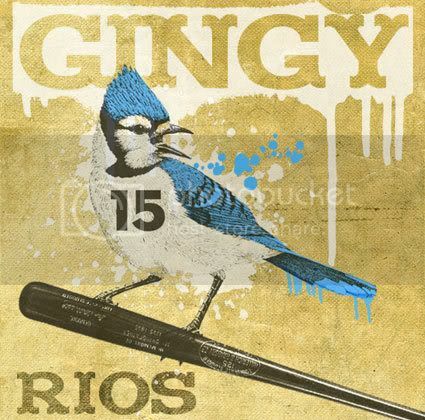 'rios for mvp' is in the same vibe and is dedicated to alex rios from the blue jays. and finally, 'fire' is an electro rock track featuring vocals from the blood brothers, nothing quite like screaming in the discotheque. gingy also just started a band/production duo with a good friend and is about to host his own electro night in london, ontario in september, so watch out for much more coming up. he would like to give shout outs to nasty nav and swear words for the support. read more!